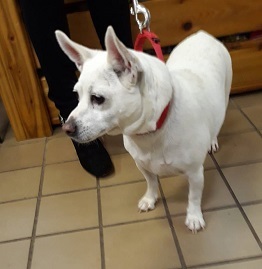 She is a perky & petite Feist mix surrendered to STAR in KY after her owner fell upon hard times and went to jail. “Ginger originally was adopted by a family with two kids in Charleston, South Carolina. After a divorce, Ginger lived with the father at first . Ginger is a wonderful sweet girl about 5. She is housebroken and will stand by the door if she has to go potty. 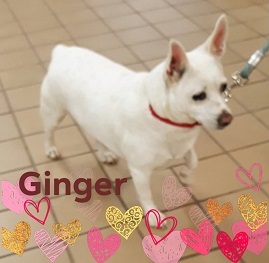 GINGER loves to go for long walks and is fine off leash as long it is in a safe environment. She loves car rides and is very calm, loves to sleep in bed with you and will snuggle under the covers. She also loves food, and if you allow her as much as she will eat, she will no longer be considered a small dog. Once GINGER is adopted…Her foster Mom would love to be in touch with GINGER’s new family. Ginger is a great “instant family dog”.